Better for your dog's gums, teeth and your slippers. It's our tasty Flexi Ring. Our Flexi Ring is designed to meet the chewing needs of teething puppies, senior dogs and other light chewers. Puppies and Senior dogs have delicate teeth that can be damaged by harder chews, therefore we have developed a softer pliable bone that will prevent damage to their teeth. 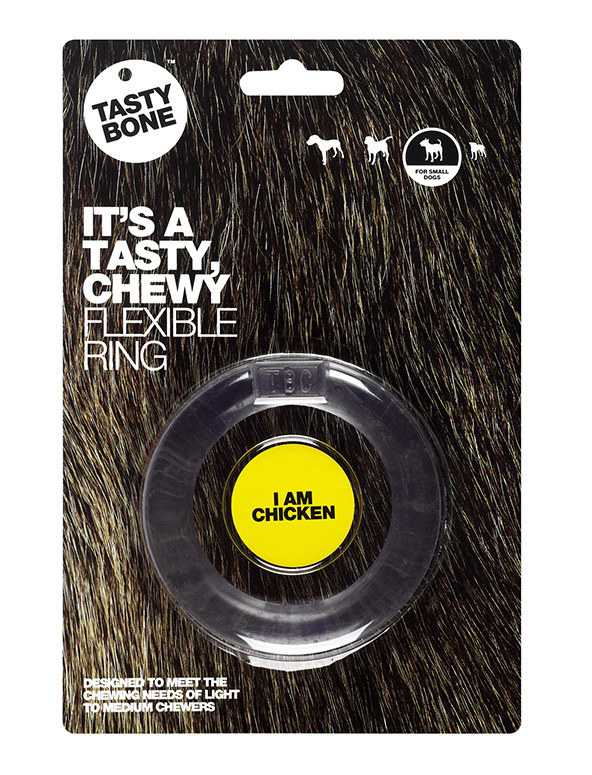 Like our other products, the Flexi Ring is infused with an irresitible Chicken flavour right through to the core, meaning it stays super tasty for longer. This Flexi Ring is designed for small dogs.